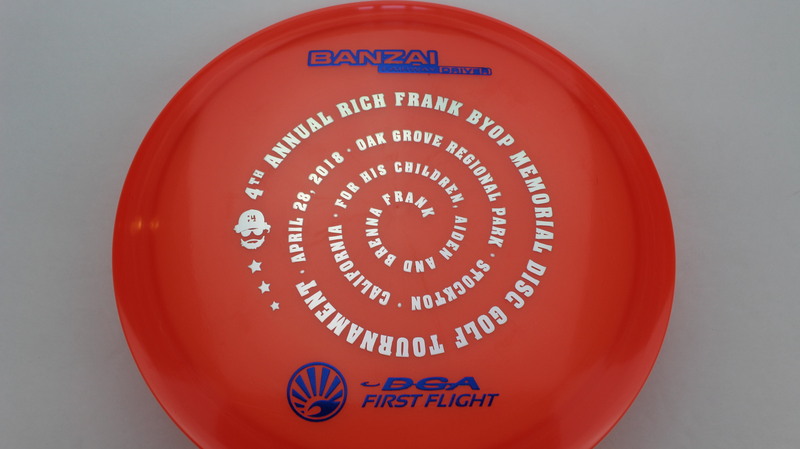 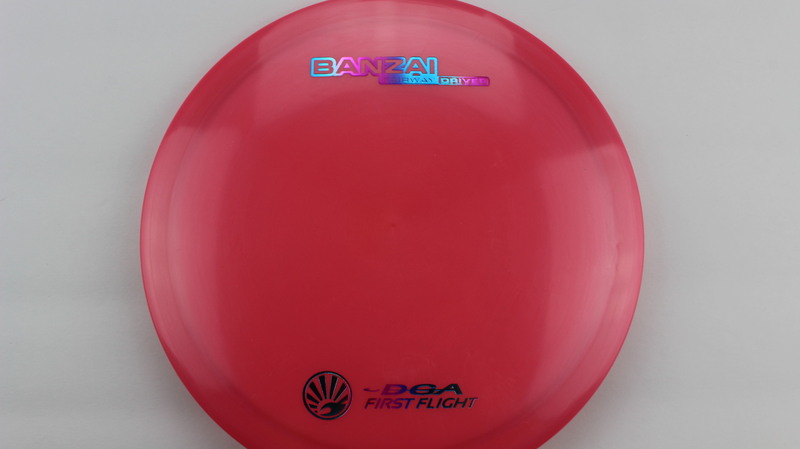 Banzai – This is the brand new release from DGA (March 2018) and it's going to be a great addition to their lineup. A nice fit in the Overstable Fairway slot, the Banzai has a very nice, comfortable grip in the hand with a Pipeline feel to it. 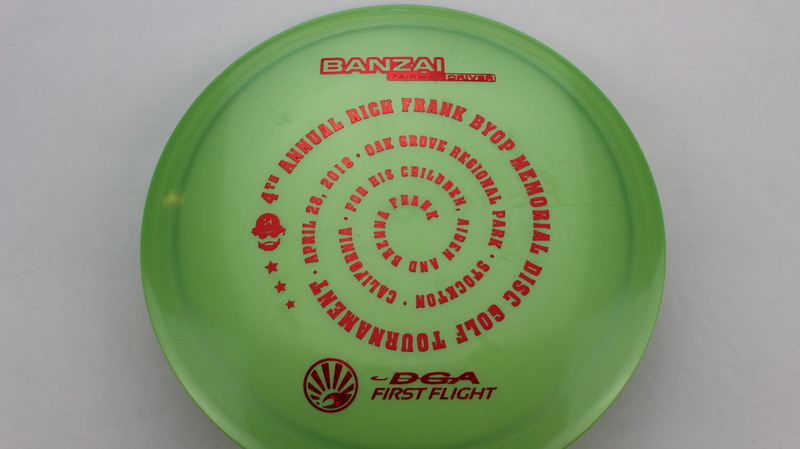 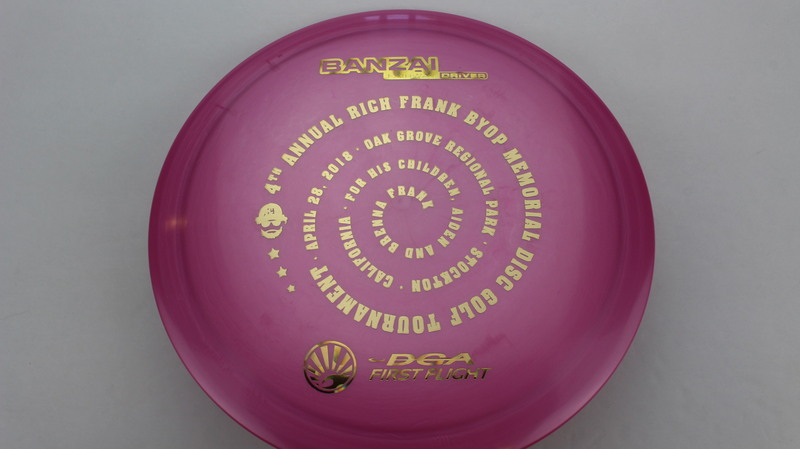 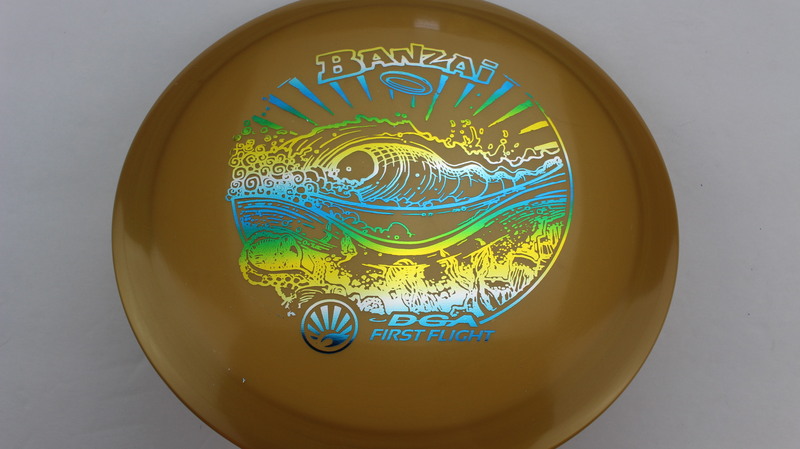 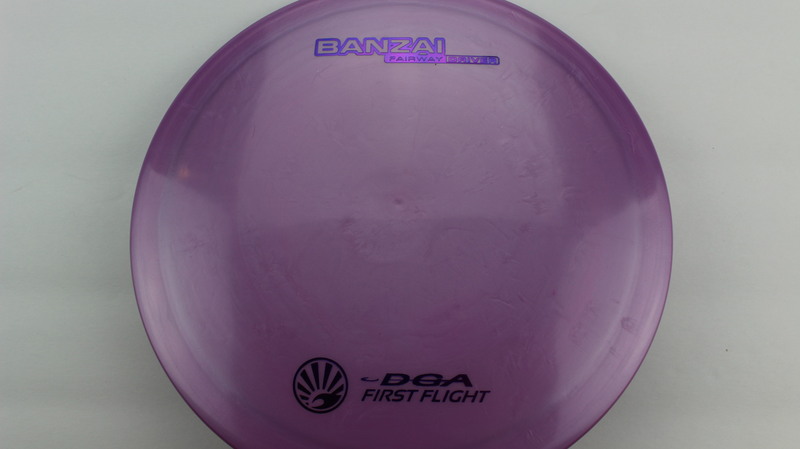 The Banzai also features a small bead on the rim, which is a fresh take on a Fairway Driver mold. 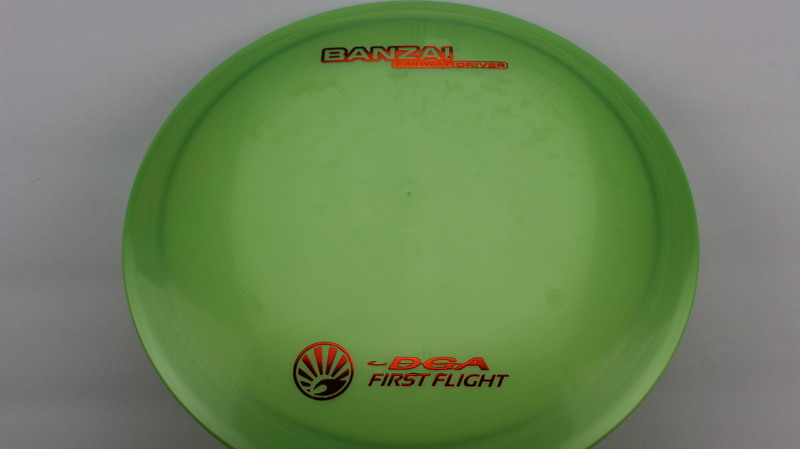 We field tested the First Flight Banzai yesterday (4/3/18) and found it to fly quite well! 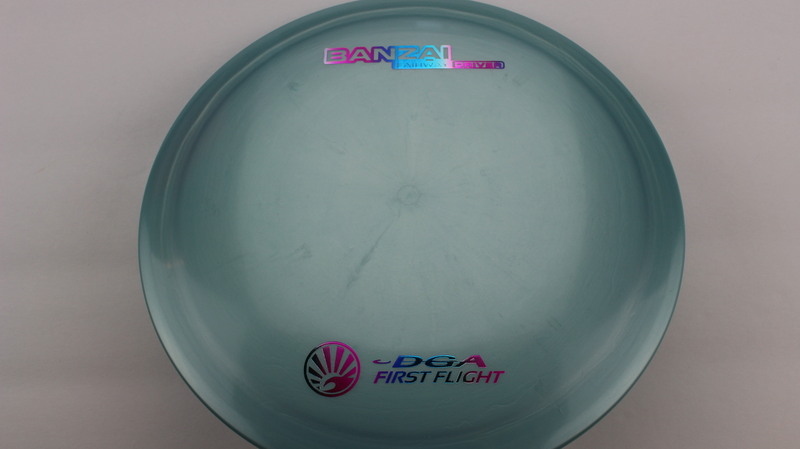 When thrown hard (~350' fairway distance), the Banzai would flip up for just a second, then reliably fade. 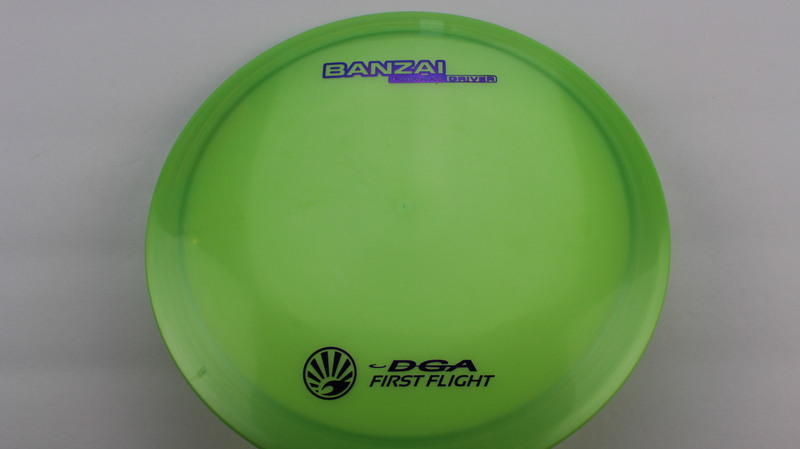 On a touch of hyzer release, it would just barely get to flat before a slight Glide to strong Fade finish. 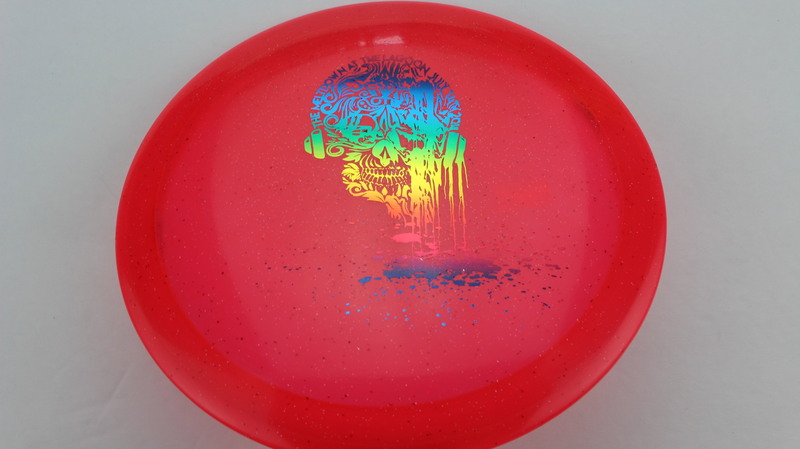 Should be a nice mold! 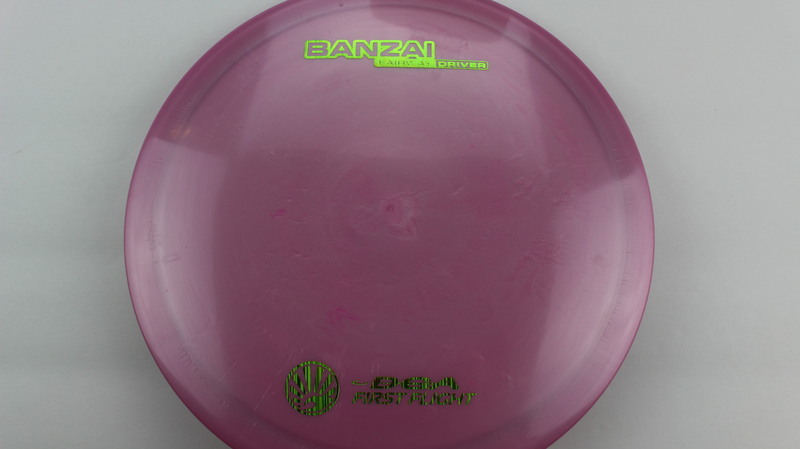 Pink/Purple Proline Green Lines - 175-176g Neutral Flatness Neutral Stiffness $16.51 Just 1 left! 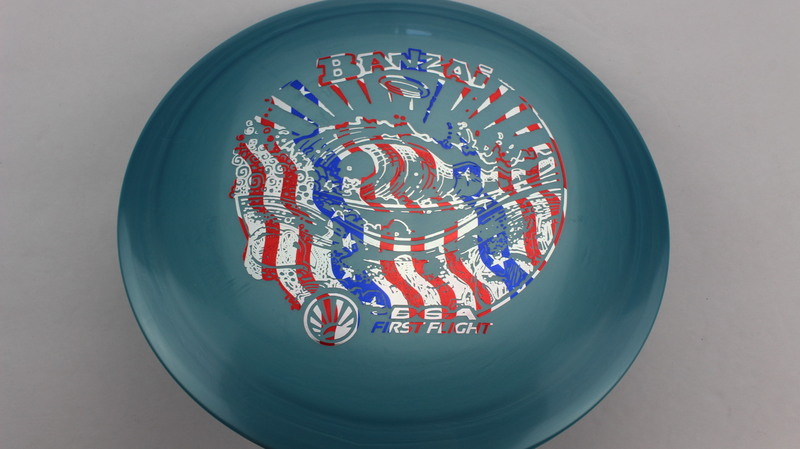 Silver Proline Flag - 173-174g Neutral Flatness Somewhat Stiff $16.51 Just 1 left! 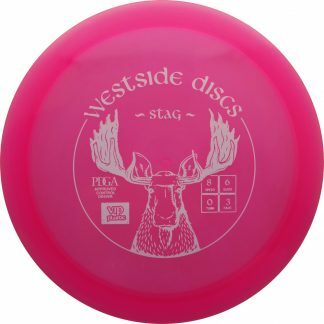 Red/Pink SP Line Rainbow - 167-169g Slight Dome to a Puddle Top Center Neutral Stiffness $14.68 Just 1 left! 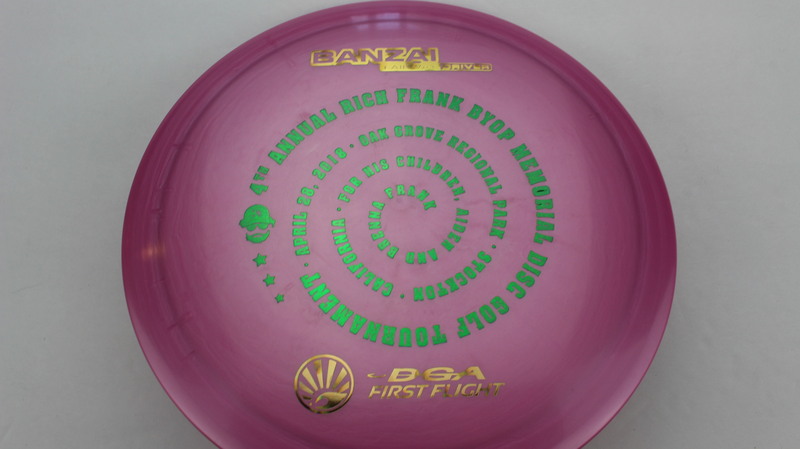 Pink SP Line Green - 175-176g Neutral Flatness Neutral Stiffness $14.68 Just 1 left! 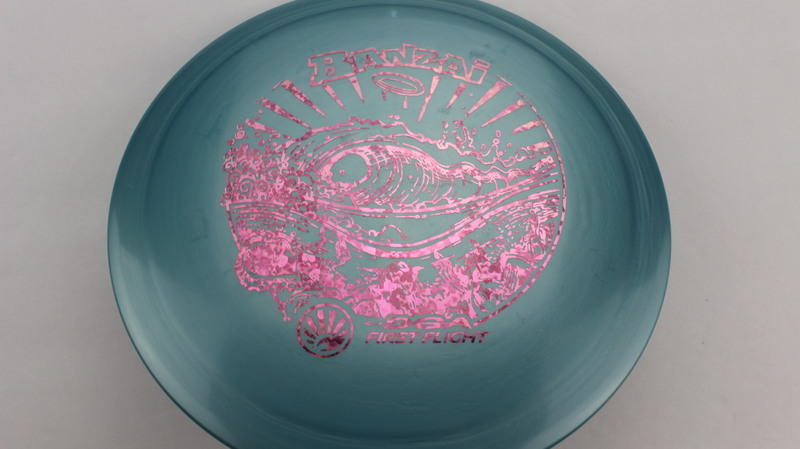 Light Blue Proline Pink Hearts - 175-176g Neutral Flatness Neutral Stiffness $16.51 Just 1 left! 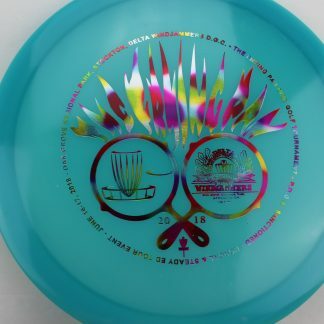 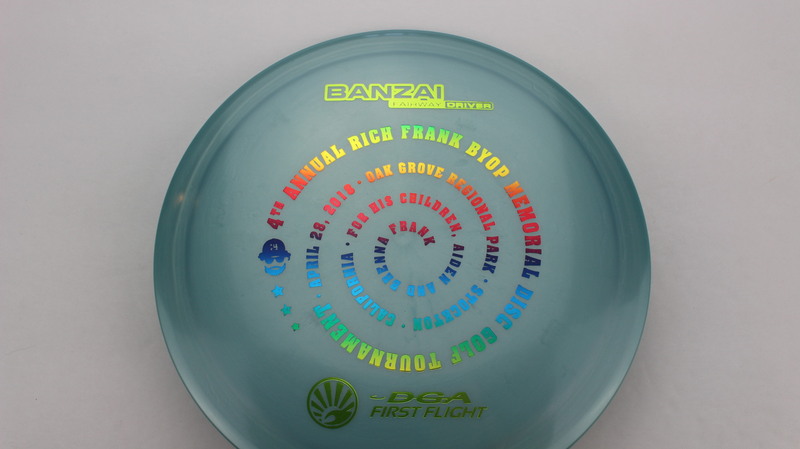 Gold Proline Rainbow - Blue Green Yellow - 175-176g Neutral Flatness Neutral Stiffness $16.51 Just 1 left! 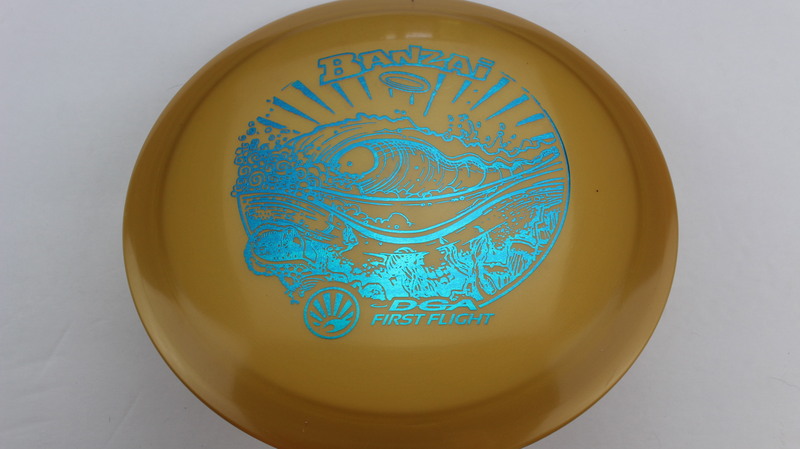 Gold Proline Teal - 175-176g Neutral Flatness Neutral Stiffness $16.51 Just 1 left! 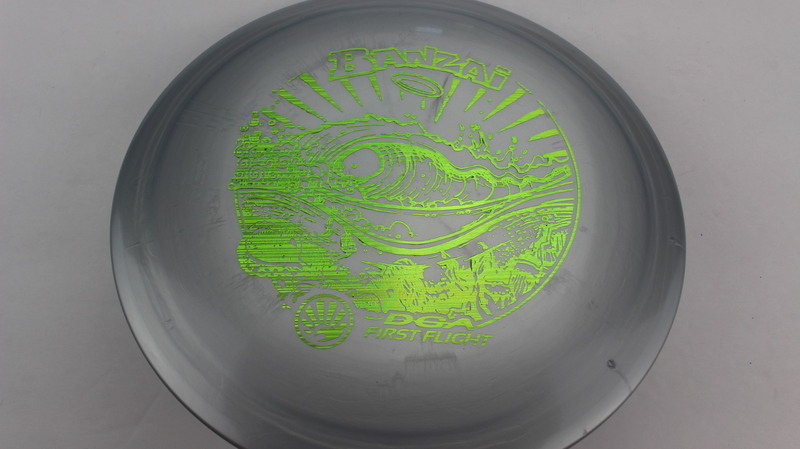 Silver Proline Green Lines - 167-169g Neutral Flatness Neutral Stiffness $16.51 Just 1 left! 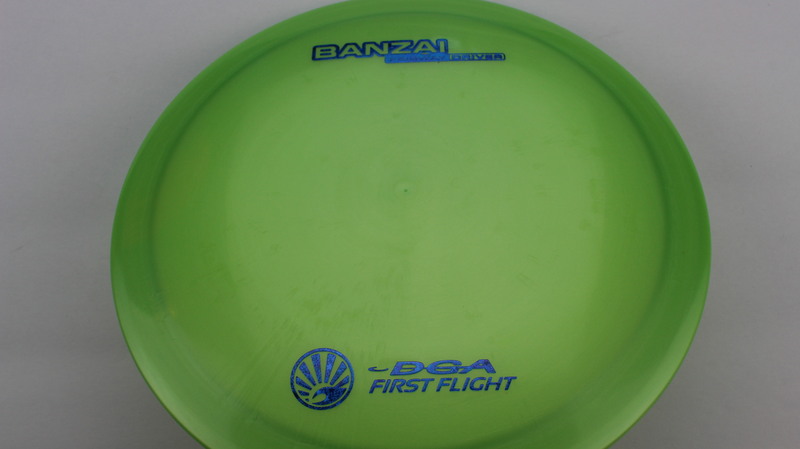 Green Proline Dark Blue - 170-172g Neutral Flatness Neutral Stiffness $16.51 Just 1 left! 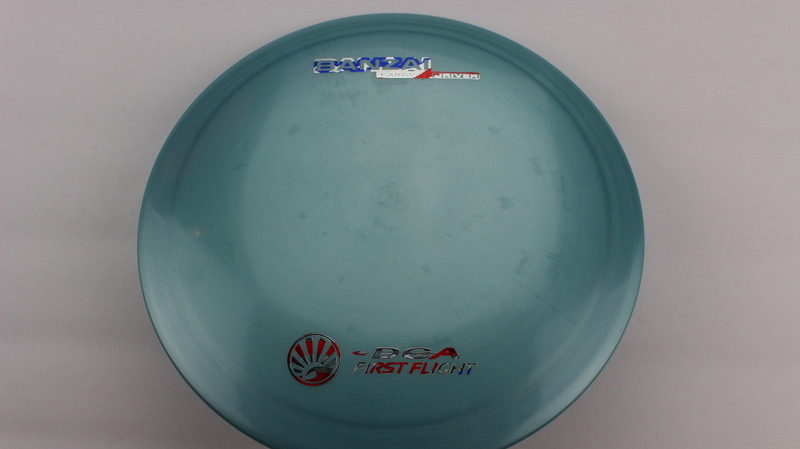 Green Proline Blue Red 175-176g Neutral Flatness Neutral Stiffness $16.51 Just 1 left! 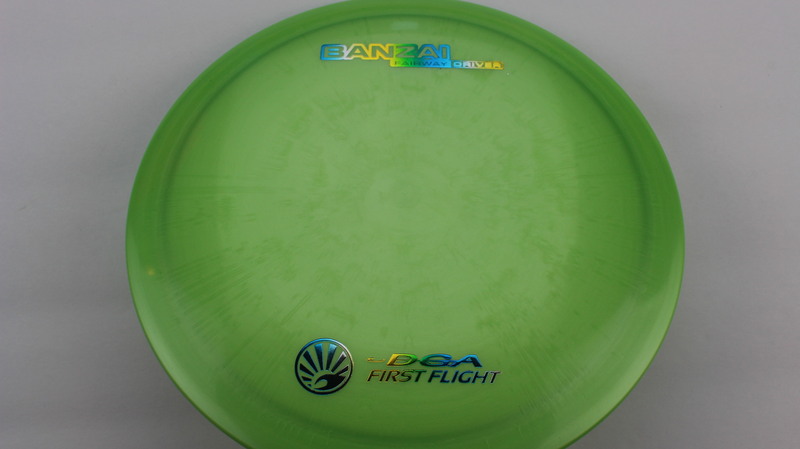 Green Proline Rainbow - Blue Green Yellow Red 175-176g Neutral Flatness Neutral Stiffness $16.51 Just 1 left! 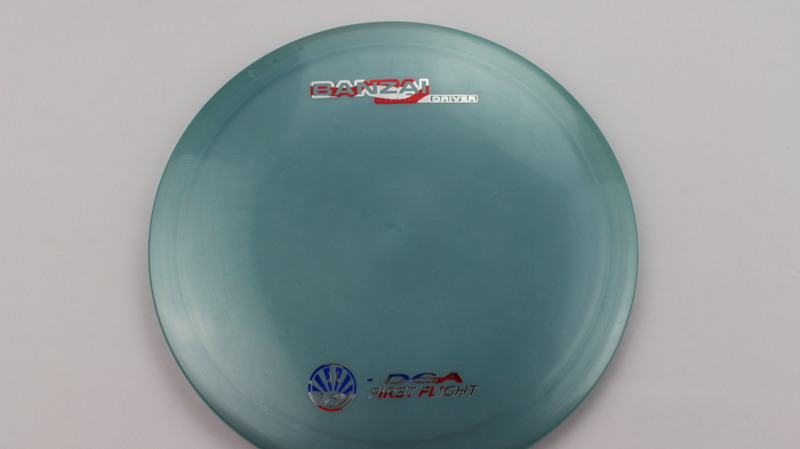 Orange Proline Blue Silver 170-172g Somewhat Flat Neutral Stiffness $16.51 Just 1 left! 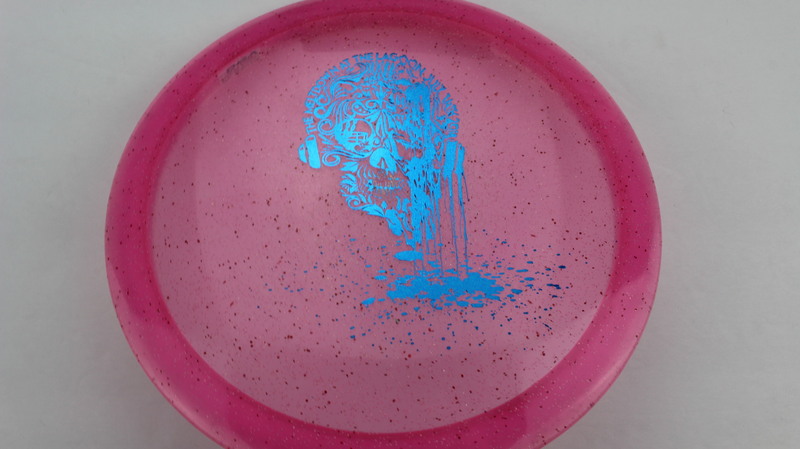 Pink/Purple Proline Gold Dots - Large Blue 173-174g Neutral Flatness Neutral Stiffness $16.51 Just 1 left! 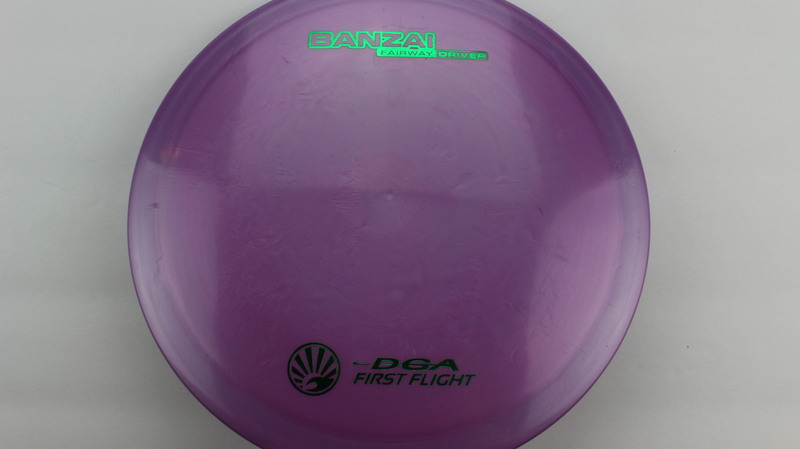 Orange Proline Purple - 175-176g Neutral Flatness Neutral Stiffness $16.51 Just 1 left! 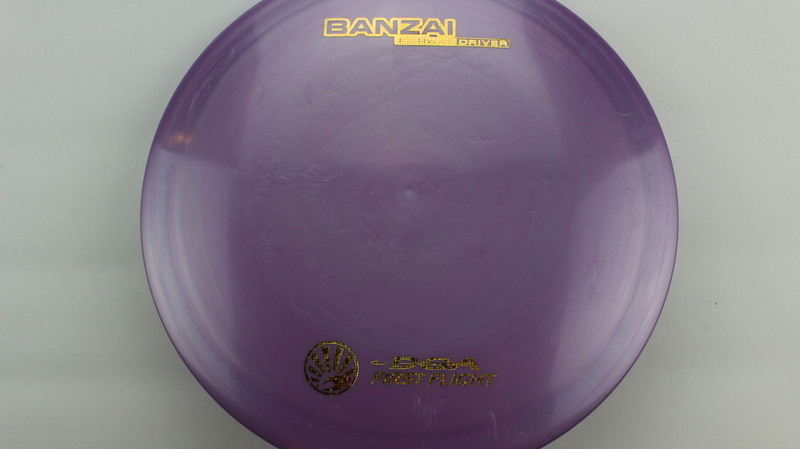 Purple Proline Gold Matrix - 167-169g Neutral Flatness Neutral Stiffness $16.51 Just 1 left! 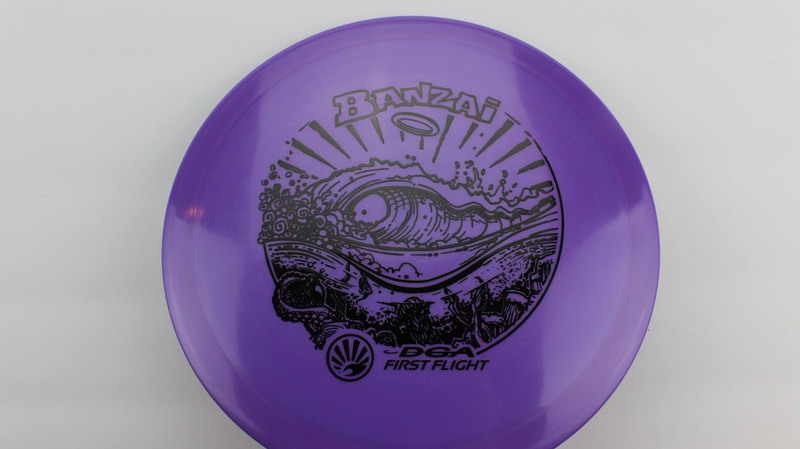 Purple Proline Purple - 173-174g Neutral Flatness Neutral Stiffness $16.51 Just 1 left! 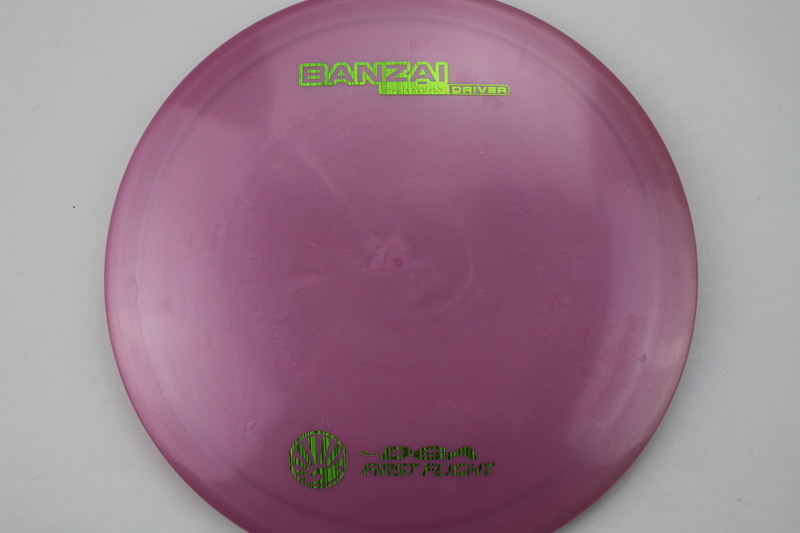 Purple Proline Green - 173g Neutral Flatness Neutral Stiffness $16.51 Just 1 left! 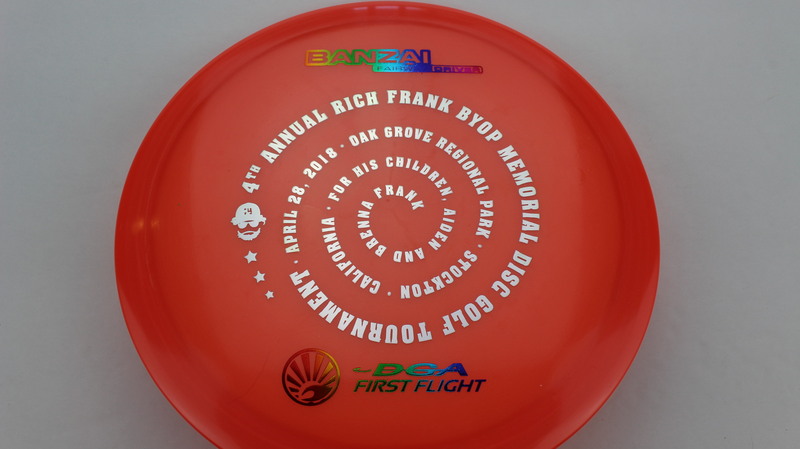 Silver Proline Red - 167-169g Neutral Flatness Neutral Stiffness $16.51 Just 1 left! 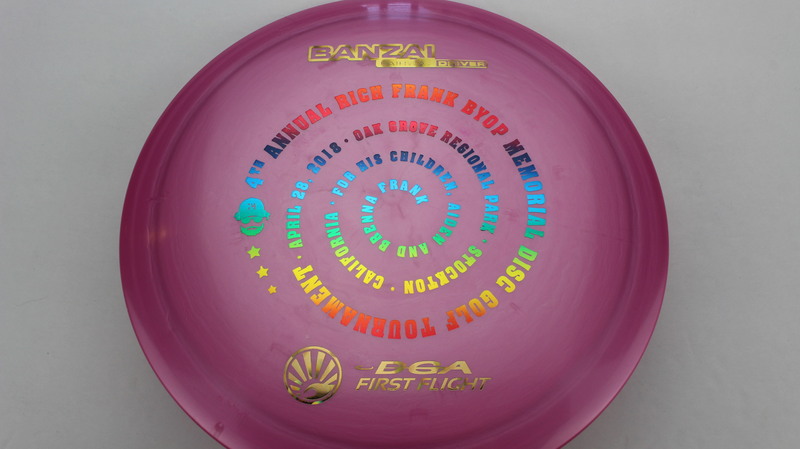 Silver Proline Rainbow - 173-174g Neutral Flatness Neutral Stiffness $16.51 Just 1 left! 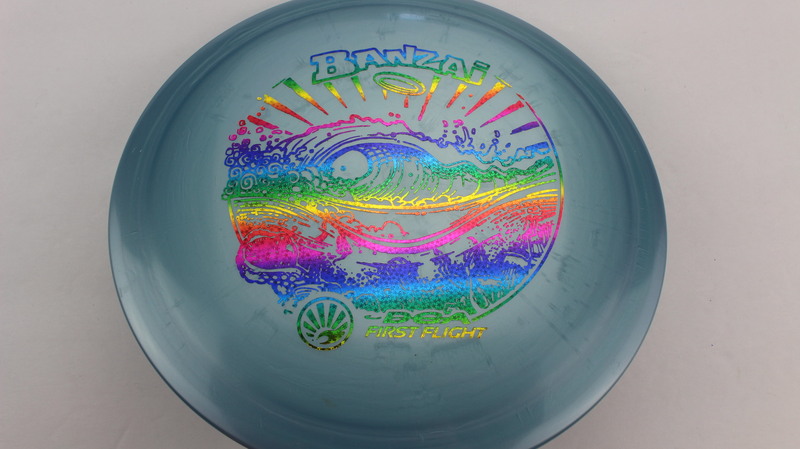 Silver Proline Rainbow - Blue Green Yellow - 170-172g Neutral Flatness Neutral Stiffness $16.51 Just 1 left! 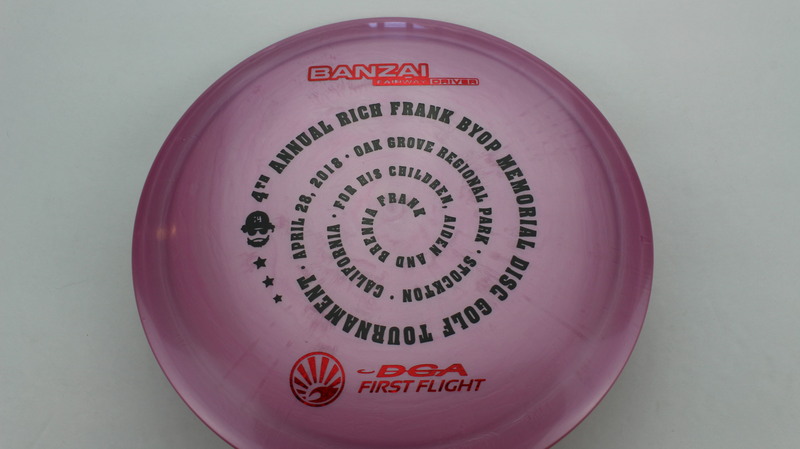 Pink Proline Rainbow - 175-176g Neutral Flatness Neutral Stiffness $16.51 Just 1 left! 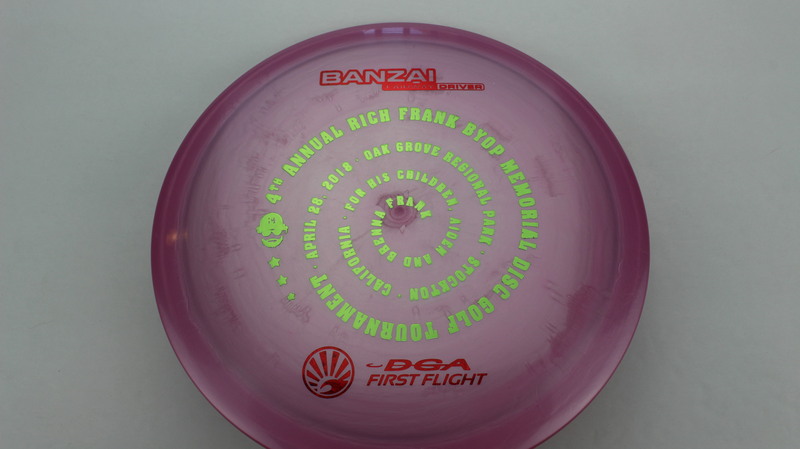 Pink Proline Light Green - 175-176g Neutral Flatness Neutral Stiffness $16.51 Just 1 left! 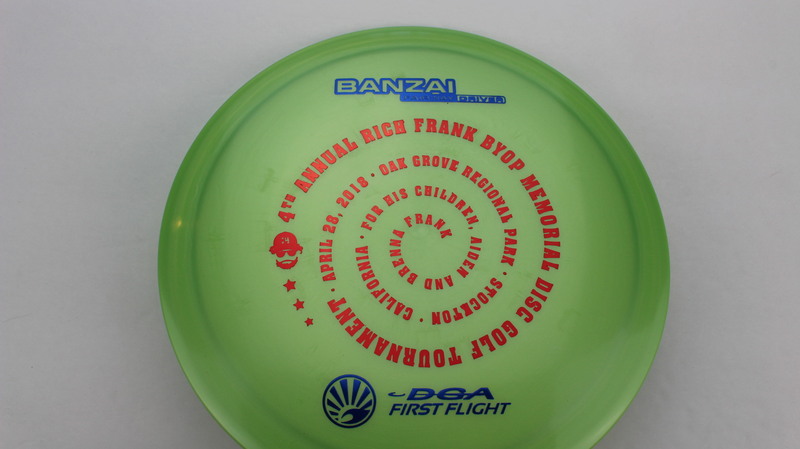 Green Proline Blue Mini Dots and Stars - 170-172g Neutral Flatness Neutral Stiffness $16.51 Just 1 left! 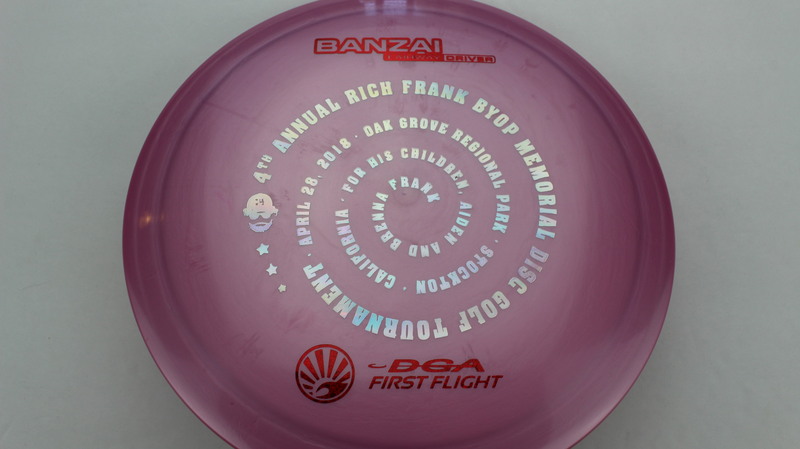 Purple Proline Silver Lines - 175-176g Neutral Flatness Somewhat Stiff $16.51 Just 1 left! 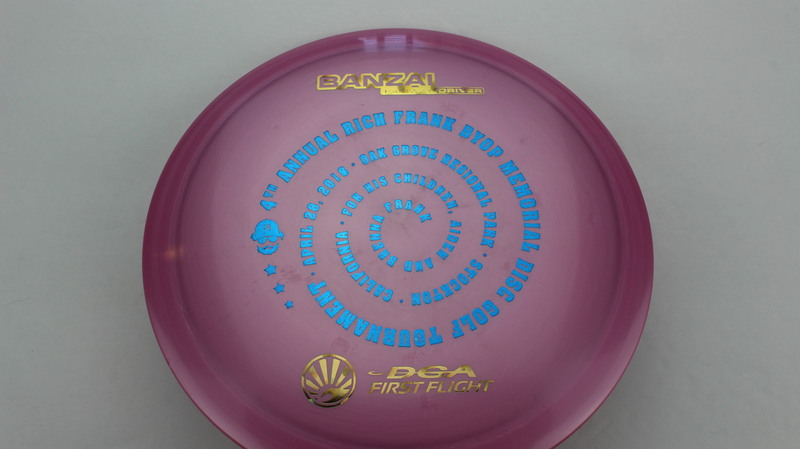 Purple Proline Blue - 175-176g Neutral Flatness Somewhat Stiff $16.51 Just 1 left! 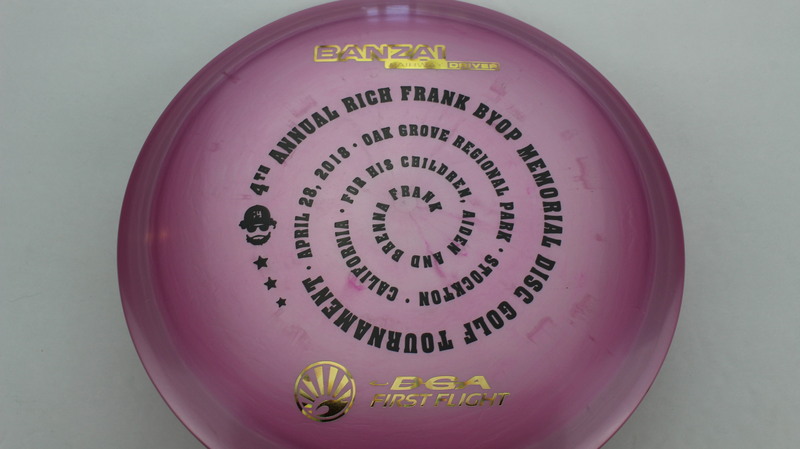 Dark Purple Proline Black - 175-176g Neutral Flatness Neutral Stiffness $16.51 Just 1 left! 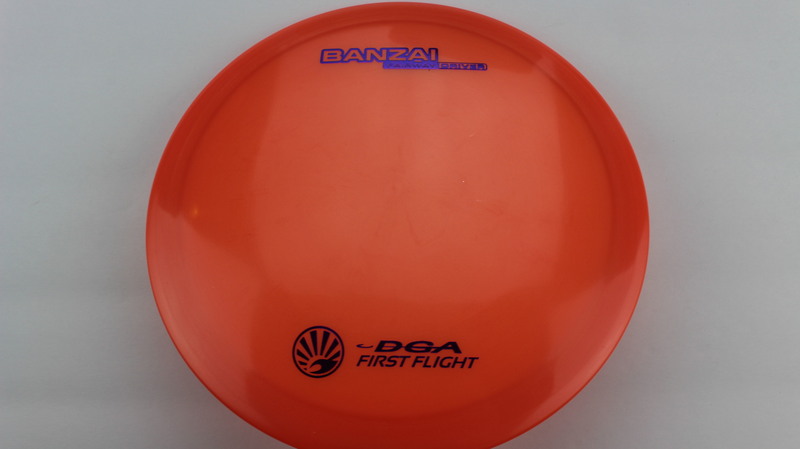 Banzai – This is the brand new release from DGA (March 2018) and it’s going to be a great addition to their lineup. 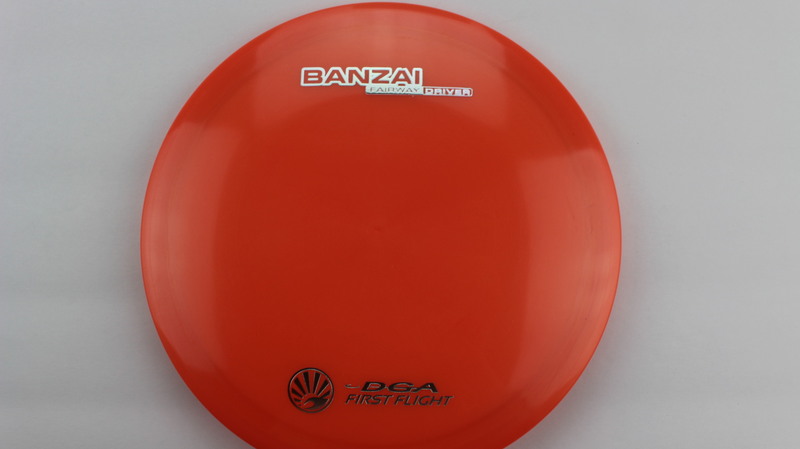 A nice fit in the Overstable Fairway slot, the Banzai has a very nice, comfortable grip in the hand with a Pipeline feel to it. 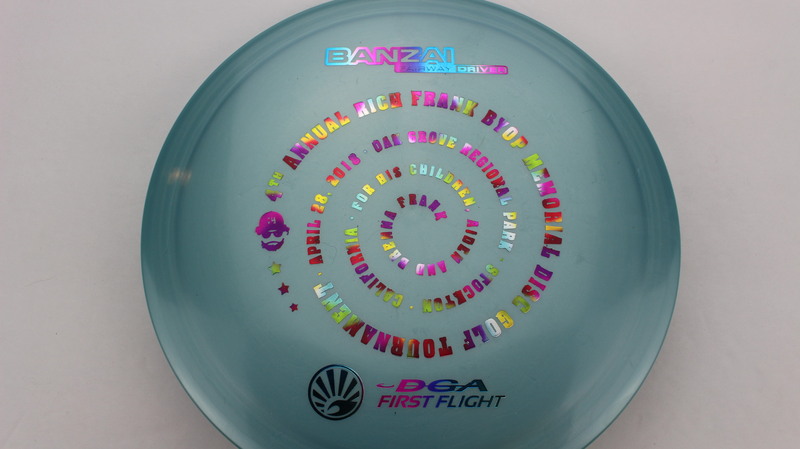 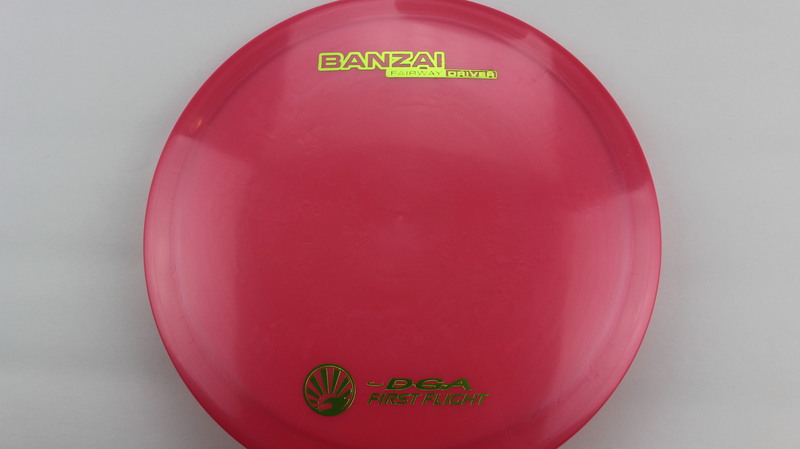 The Banzai also features a small bead on the rim, which is a fresh take on a Fairway Driver mold. 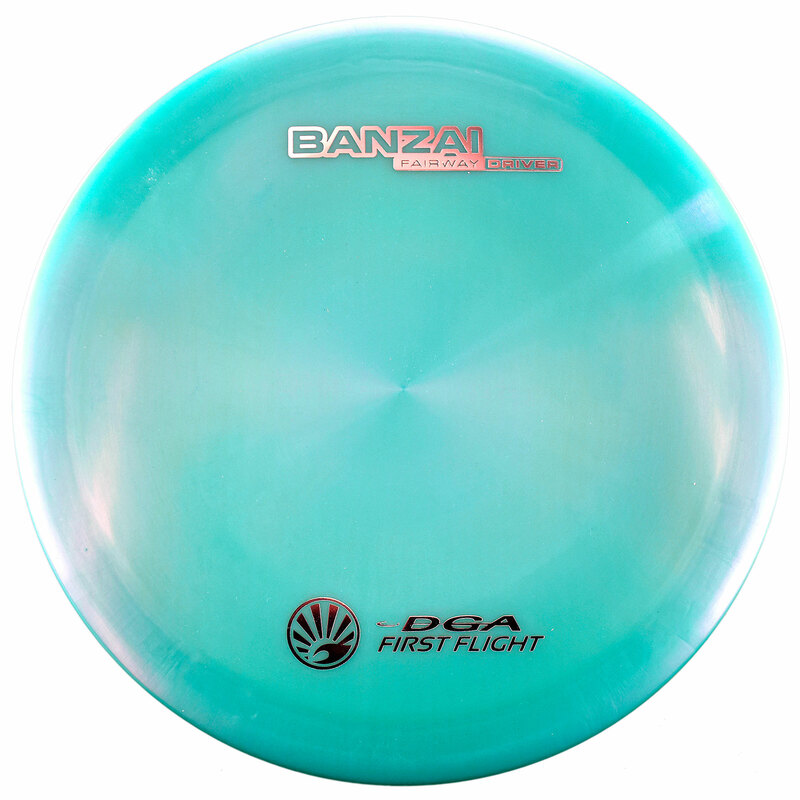 We field tested the First Flight Banzai yesterday (4/3/18) and found it to fly quite well! 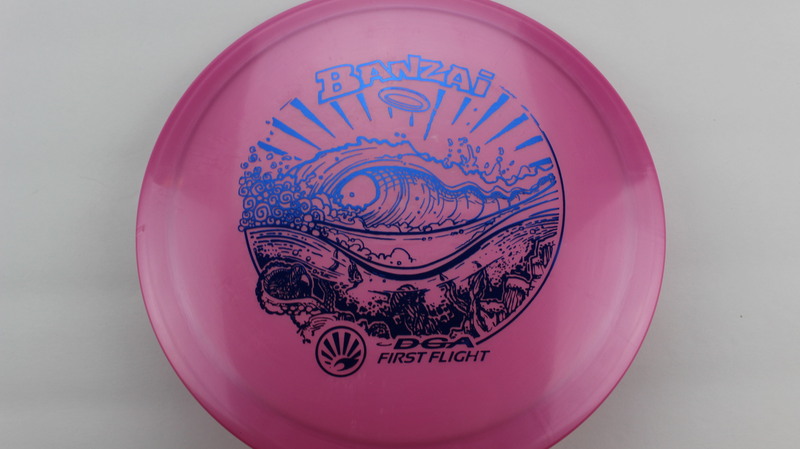 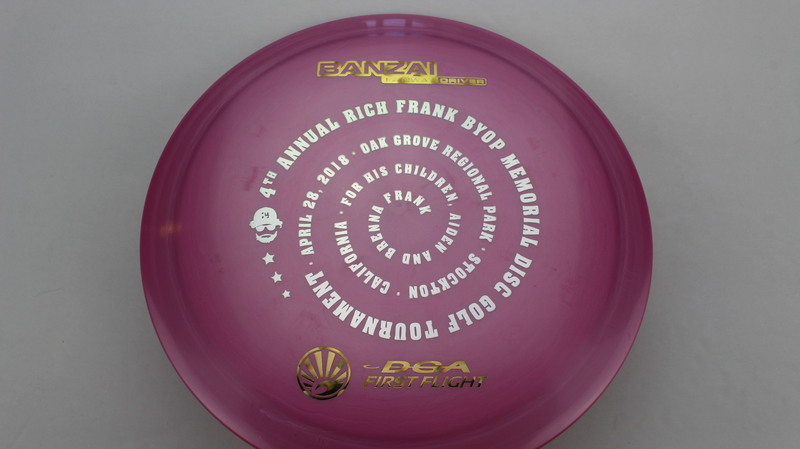 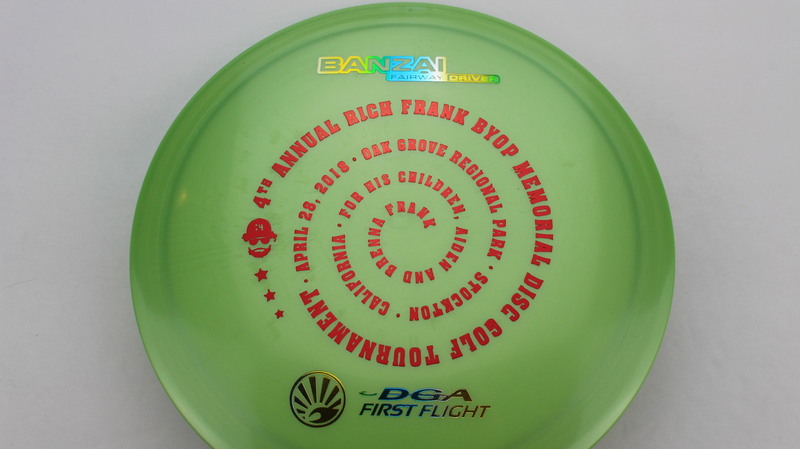 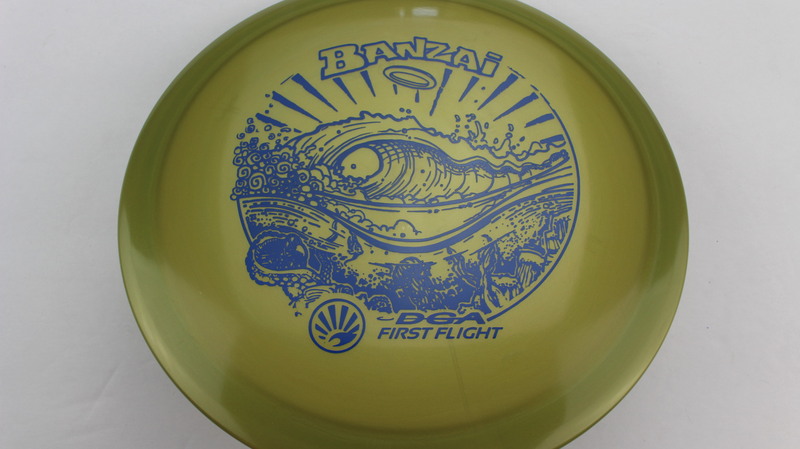 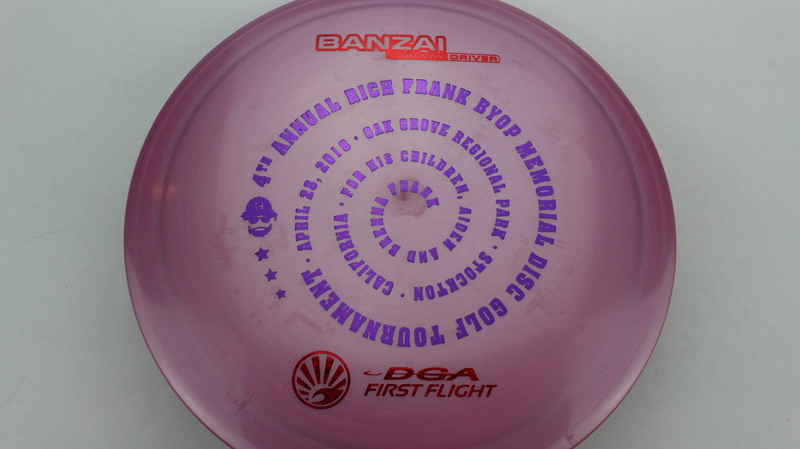 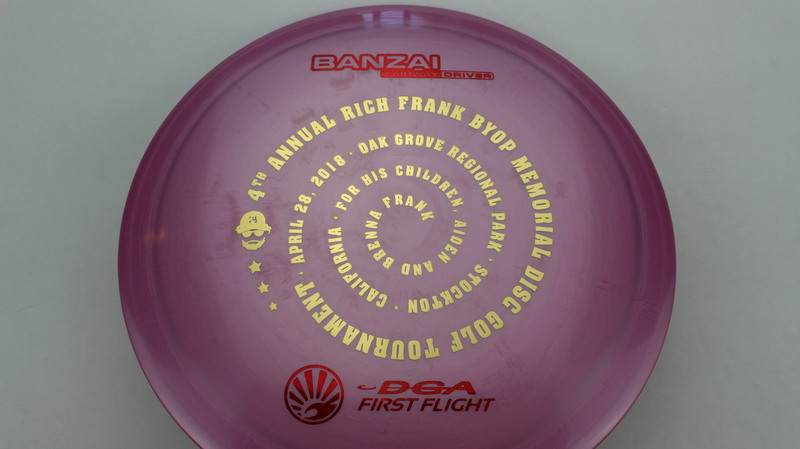 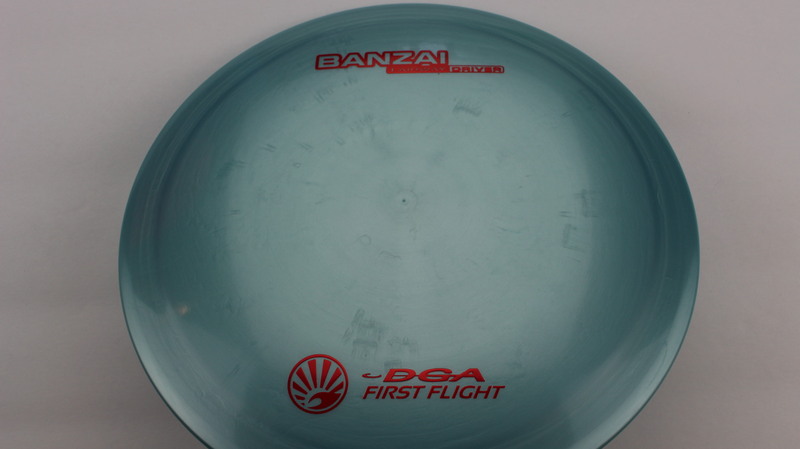 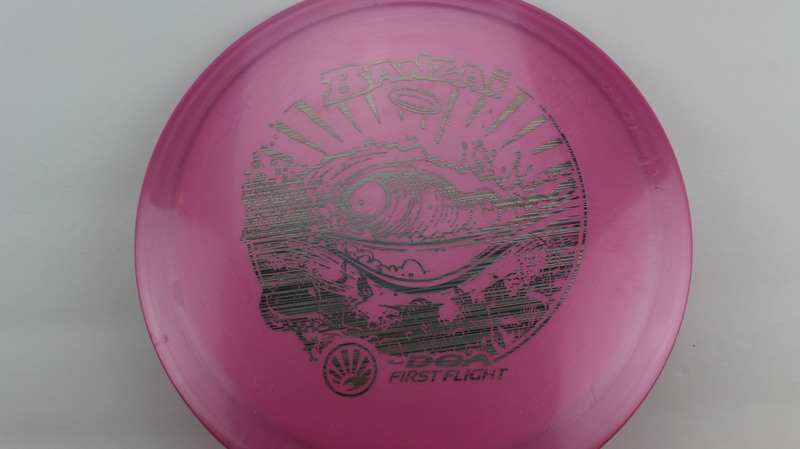 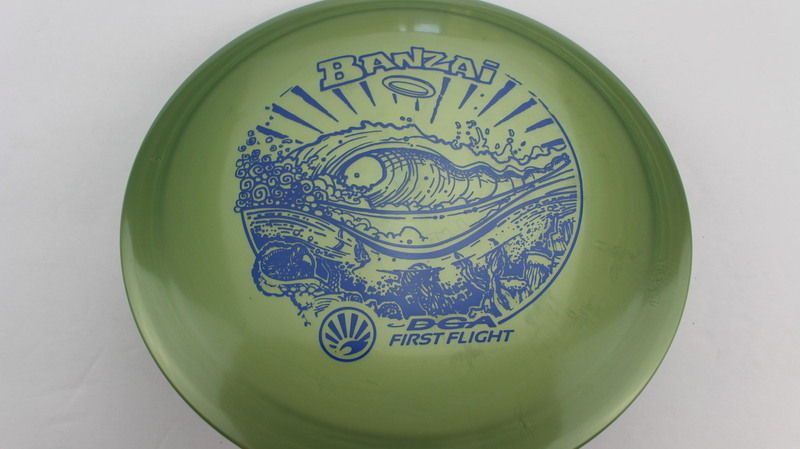 When thrown hard (~350′ fairway distance), the Banzai would flip up for just a second, then reliably fade. 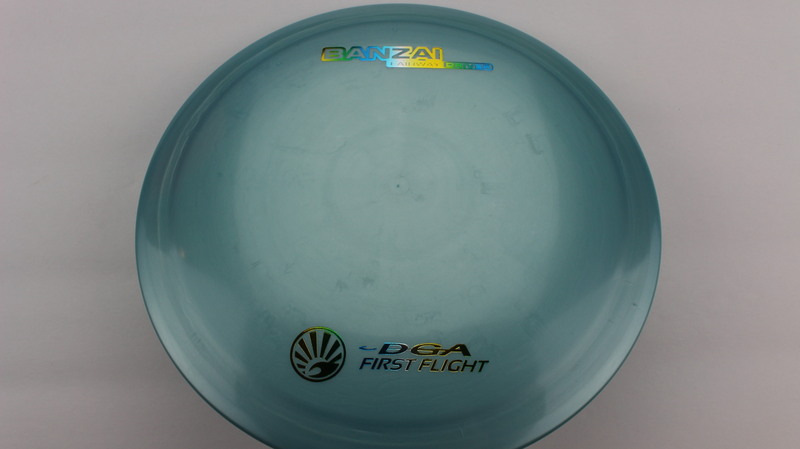 On a touch of hyzer release, it would just barely get to flat before a slight Glide to strong Fade finish. 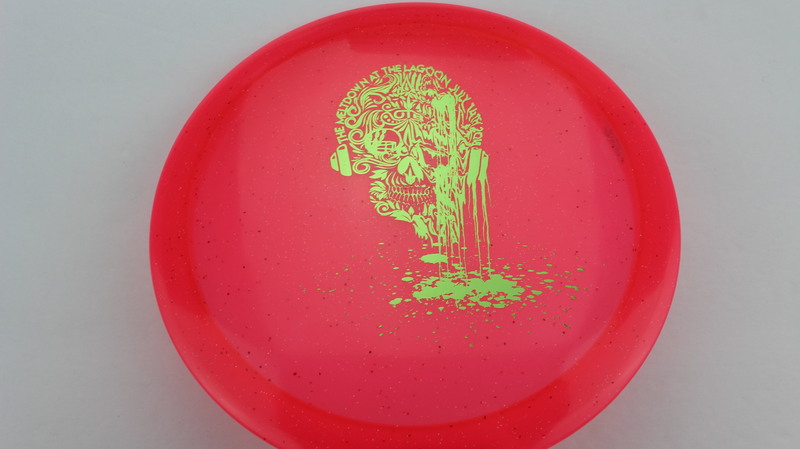 Should be a nice mold!